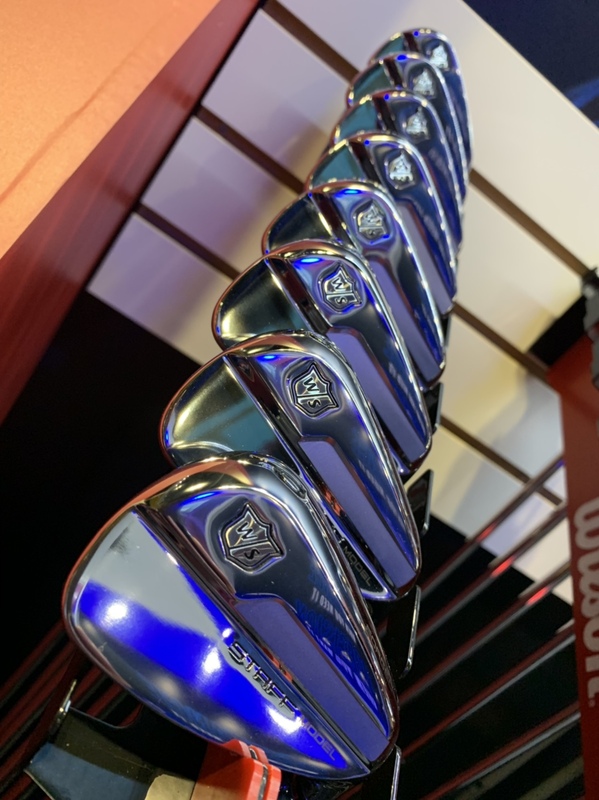 As most of our long time readers know, the PGA Merchandise Show each January is an industry show packed with each company showing off their latest goods and the THP Golf coverage of it has been on the cutting edge of new innovations for the last 10 years. Too many firsts to list, and last year the addition of Michael Vrska to our team brought an industry R&D veteran to the mix for insight unlike any before it. Mr. Vrska is back again with the THP Golf team along with a host of others to bring content from the entire show floor. Along with video content, this thread will give real time engagement for you to our staff and people we are with. To help you better navigate the coverage and get the most of exactly what you want to see, here are the best ways to follow the up to the minute info as it happens. This thread will be a chance to engage back and forth all week long. Stories on Instagram: If you are not on Instagram, you might miss some behind the scenes action, and if you are, make sure to follow @THPGolf on there and the Instagram stories section for fun snippets of the things that don't make it here. THP Live on YouTube: A number of the days Live from Orlando, THP TV will have a round table discussion where you can ask questions directly to the staff on anything PGA Show or equipment related. Interact with the people that are here with us, live, and unlike anything we have done before. You have questions, our team will provide the answers. Follow that at THPGolf on YouTube. THP on Twitter: Lots of images and booth shots will be shared on Twitter and you can follow that @THPGolf so you never miss anything. From Monday through Friday, the team is in place ready to bring you all of the action from the 2019 PGA Merchandise Show in Orlando, FL. This year we did things a little bit differently and wanted to give a bit of a behind the scenes view of what goes into the creation of the PGA Show. So we went right to the floor to see exactly how those beautiful booths are made. Along the way, JB took some fun interviews about the PGA Show that will be posted tomorrow. You won’t want to to miss them. It is AMAZING how much changed over only a few hours and I took as many photos as I could along the way. Jealous, my buddy will be down there this week. I've always wanted to go check it out at least once. Boxes, pallets, and tons of work to be done. Titleist has an amazing booth that was only starting to take shape at 8am. And WS and Ping look super good too. Callaway has a really strong booth that I can’t show you yet, but you have a JRod interview to look forward to! He is a legend for a reason, so don’t miss it. Very cool! Looking forward to the coverage! I love this!!! It’s great for people who have never done a major trade show to see behind the scene. This is a long day for the folks putting it together and the merchandisers. Somehow it will look awesome by morning. Have a ball. Pictures are great.